This week, we've got one new plug-in, another that's been out for a while but has recently been given Mac support, and a third that's just been updated to version 2. Read on for all the details. A simple plug-in with one simple purpose: to play back audio files. The supported format list is as follows: WAV, AIFF, BWF, FLAC and OGG. You can expect compatibility with MP3, AAC and M4A files in the future. That's about all there is to say really, aside from the fact that there's playlist functionality and a play/pause button. This cutdown version of Nebula3 Pro, a multi-effects unit that takes a sample-based approach to emulating classic outboard EQs, compressors, reverbs, phasers and flangers, is now Mac-compatible. 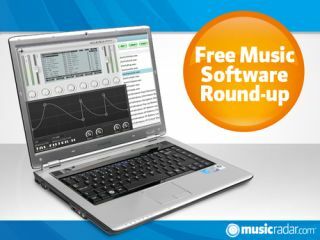 You get "a large library of included presets" that are designed to add "the warmth of analogue to your digital mixes". A second outing for TAL's host-synced filter module which brings with it a graphical editor and four oversampled filters from the TAL-NoiseMaker synth. A range of filter types is included and you can modulate both pan and volume. Suggested uses are as a tremolo or trance gate effect, while rhythmic sounds can be panned to add interest.